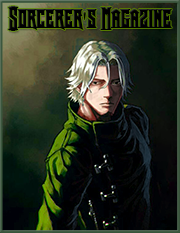 Description: Noble Arms is a Requip magic based on the power of heroes. The weapons, armor, clothes, and various items that helped propel individuals across time into the fabric of legend and history are the purview of this magic. The stronger the legend, the more distinct the arms take when cast. Heroic Vitality (D): Suffused with the magical energies of heroes, Ehoron's body has absorbed a portion of their power. This has had the result of increasing his HP by 25%. Legends tell of a warrior who sought to break the god's hold over mortal men. He journeyed far across the land, searching for a way to shatter the bonds the shackled mankind to the vain and capricious gods that demanded ever greater numbers of sacrifices and worship. In time, he learned of a blade once used by the gods themselves to overthrow their long-forgotten masters. It was said that this blade had the power to slay gods, and he used it to free mankind from their tyranny and madness. Whatever the truth, there is little denying the power and fury of this blade. Single Target: Ancient Power - With a flash of gold, the length of the blade is wrapped in light and a mighty blow rains down upon the enemy with furious justice. Once per post, the wielder may make an attack with increased damage. Burst: Time Leap - Legend has it that a being older than a god once ruled, and he held dominion over time itself. 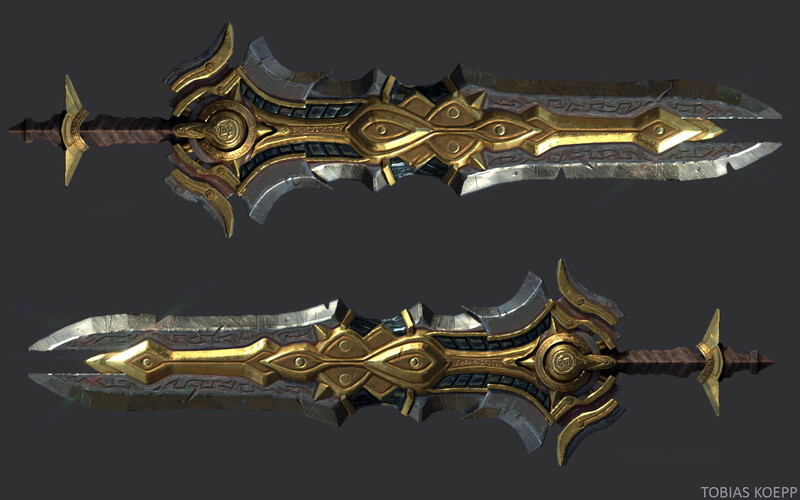 With this blade, the wielder may teleport to an area within range, seemingly leaping through time to appear there. A long coat made from Valerian leather, it is usually the only armor that Ehoron wears regardless of if he's doing a job or not. It imparts a substantial increase in his defenses and was the first piece of equipment he can remember summoning, imparting it with significant emotional significance. Whether it has a particular tale or legend associated with it, he's never found clue or evidence to suggest it. Passive: Valerian Leather Wares - Prized for their durability, the Valerian leather used to make the coat imparts a 45% increase in physical resistance. A crystal made of condensed, crystalized Ethernano, it acts as foci to allow the wearer to channel Ethernano particles more readily into their body to replenish their magical stores. Some claim to see faces or hear voices speak of legends within the crystal, but none can say for certain. Shield: Weak Ethereal Deflector - Ethernano particles are drawn through the crystal and projected across the body as a weak shield capable of withstanding three C-Rank attacks for five posts or until broken, whichever occurs first. Passive: MP Up - By drawing in Ethernano particles through the purifying crystal, the wearer's magical stores are more rapidly replenished. MP regens at 5% per post for five posts. The Shard of Audhulma is, as the name implies, a sword made from a shard of the legendary ice blade Audhulma. Legends say that the weapon was shattered defending a village from a truly terrifying giant demon, and a fragment of it was later used in the forging of this blade. Regardless of the truth, it is a sword that makes use of potent ice magic to form the bulk of the weapon's form. Single Target: Ice Fang - With a swing of the blade, a vertical line of ice goes speeding in a straight line towards the intended target. If it strikes a sufficiently hard object or another person before reaching it's intended target, or it reaches its maximum range, it detonates at that time. The icy magic also inflicts an 85% penalty in strength for six posts as the frigid magic causes muscles to seize. Area of Effect: Arctic Wind - Jagged spikes of ice rain down from above the area. In addition to damaging targets caught within the area, affected targets have their speed and physical resistance reduced by 50% and 35% respectively for six posts as cold sap stamina and render steel brittle. Buff: Resplendent Ice* - For six posts after this spell is cast, Ice magic cast have their spell power increased by 55%. Passive: Icy Heart** - Ice magic cast while wielding this blade have an increased spell power of 50%. Icy Heart is B Rank in power. Passive: Icarus' Dance - While worn, the wielder is constantly buoyed by the magic of the winds, effortlessly levitating along in any direction. 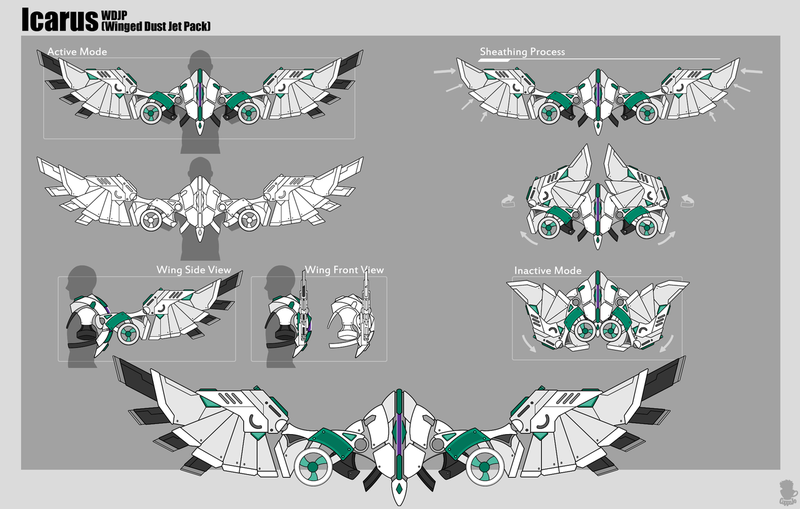 When the wings are unfurled, the wielder is then granted the ability to fly. Single Target: Zephy's Vortex - With a great flap of these artifact wings, a tremendous gale is kicked up. The convergence of such mighty winds immobilizes the target for a single post. As the legend goes, this divine hammer was once wielded by the Archangel of Redemption. 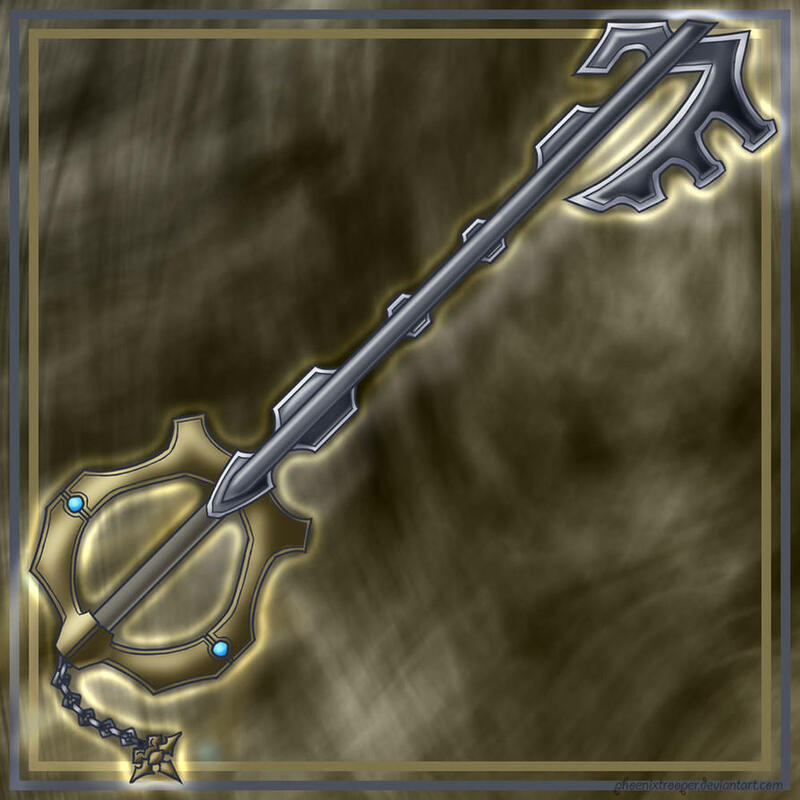 He used it to dispatch demons and wicked souls alike and bring salvation to those who deserved it, which in time led to the hammer bearing this sacred name denoting its purpose; Salvation. Single Target Damage over Time: Solemn Judgement - The clouds part and a ray of holy light shines down upon the target, rendering judgement upon them. Target is damaged and inflicted with a lingering holy fire that continues to damage them for four turns, in. 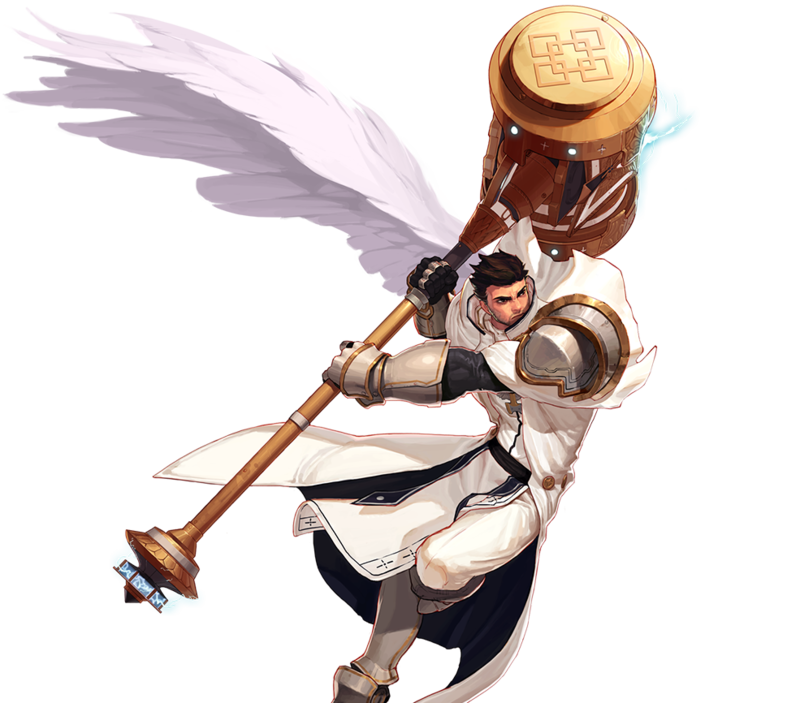 Single Target Heal: Radiant Light - A flash of light from this sacred hammer heals the target, cleansing their body of taint and renewing their vigor that they might continue the fight against evil. 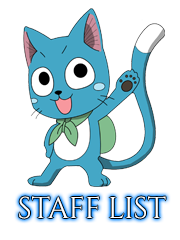 Heals and grants the target a 50% buff in magical resistance for six posts. As water is said to be the beginning for many, so too is it their end. Legend tells of a warrior who eschewed her tribe's traditions of a confined life on their island and sought to journey the wider oceans; to see for herself the mysteries that lay just beyond the horizon. A plague struck her island, forcing her to leave her people to find a cure to save them. The goddess of the water heard her plight, and gave her the treasured trident that could cure her people of their ills. Single Target Drain: Baleful Tempest - A roaring column of water strikes the target, damaging them and draining them of 5% of their magic power once per post for six posts. Multi-Target Buff: Water's Blessing - Up to six targets are washed in purified water, restoring health and granting them a 60% increase in speed for six posts. Not all heroes of legend wear crowns and wield blades of light. Once, a great evil rose up and consumed a kingdom whole. Not a soul was spared the nightmares that spilled over their lands. Yet for all their terror and might, even the dark had its weakness. 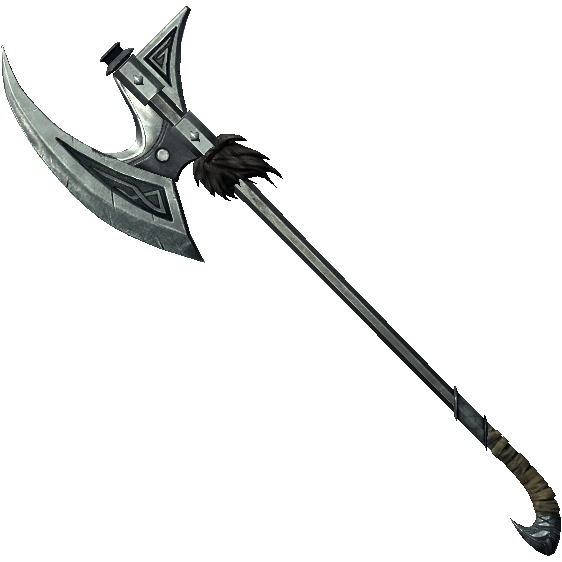 A brave soul ventured forth and forged an axe from the bone of a monster, a weapon imbued with their very darkness. With it, he was able to slay the monsters surging through the lands and drove them back into their void. However, he was left trapped in their lands after the portal was closed. Yet he continued to hold the axe, and with it, held a chance to escape. Melee Single Target: Dark Pulse - Shadows swirl around the axe head. Upon contact with a target, once per post, the shadows swarm over the target like dozens of tiny knives, slashing at the target to inflict damage and a -60% strength debuff for six posts. Damage over Time Area of Effect: Abyssal Veil - Darkness descends upon the area, damaging victims within the area over time as well as reducing their spell damage by 60% and draining 5% of their magic power once per post spent within the area for six posts. From the heights and purity of Heaven, as the Age of Man turned and unfolded, there was one angel who sought to protect this fledgling race. It loved the humans; for all their imperfections and selfishness, they were capable of truly loving and caring for one another in a way that angels could not. Darkness rose and the corruption of Hell ran rampant. Rather than sit idly by, it opted to fall to the mortal lands and teach the humans to fight against the darkness. With it came a spear of pure fire that burned away the darkness and illuminated a way forward to the future. Single Target: Fiery Retribution - A column of fire erupts from the ground, scorching the target and burning away 5% of their health once per post for six posts. Melee Single Target: Burning Fury - Once per post, the wielder stabs at their opponent, inflicting massive damage and burning away their magic resistance by 60% for six posts. Legend has it that after the fall of the gods, a man found the blade with which the gods had created the world. But he was a cruel and selfish man, and he used the divine artifact for his own selfish gain. The lands rotted and the people starved, until one day a hero arose to challenge this mad king. Aided by his friends and with the aid and blessing from the gods, the hero slew the king and reclaimed the weapon for peace. Multi-Target: Sundering Strike - Brandishing the blade with a roar, the wielder directs many large pillars of earth and stone to strike at their enemies, damaging them and reducing their physical resistance by 50% for eight posts. Multi-Target: Mountain's Collapse - Stone rains down on the targets from all around like a mountain being brought down on their heads. Targets are damaged and slowed for 90% for eight posts as they attempt to claw free from stone and rubble. 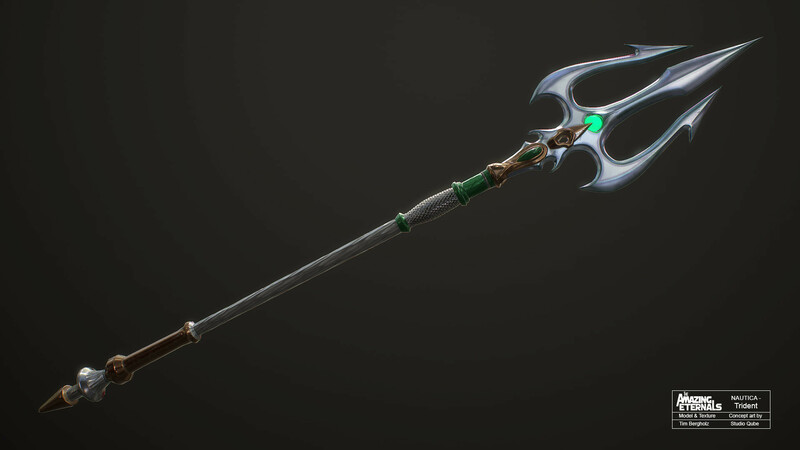 A spear that is said to have made a man into a hero, and a hero into a king, Gerwald is known as a mighty weapon that drives its wielder on to greatness. Nestled in the spearhead is a small golden Lacrima shard said to contain the heroism of the first wielder of Gerwald, whose name is all but forgotten by history in this day and age. Shield: Valorous Guard - A spell that channels the valor of heroes to repel the darkness, generating a magical shield that is able to withstand three B-Rank spells worth of damage for eight posts or until broken, whichever occurs first. Single Target: King's Decree - With a gesture from this legendary spear, a bolt of lightning splits the sky to strike the target with divine judgment, inflicting damage and reducing their speed by 90% for eight posts. Passive: Valor in Action** - Passively increases the wielder's Strength and Speed by 25% and 50 % respectively. Legend has it that of the innumerable Hosts of Heaven, none were more stalwart in their defense than Orephelia. Time had no meaning to her as she watched over those endless fields. When mankind first rose amongst the muck on Earthland, Orephelia watched dispassionately; her duty to the divine grounds and not the miserable lands the humans had crawled from. And yet, over time, she felt herself growing attached to the poor souls as they struggled to survive. When a host of demons found the humans, there were many in Heaven who advocated for the purging of the humans. Orephelia, however, found that she could not abide such an act. While the others debated the merits of letting the demons slay the humans, Orephelia flew to humanity's aid. For seven days and seven nights, she waged war single-handedly against Hell's forces. Ultimately slain in the end, her shield held fast until her body could no longer. For her gallant acts, Heaven's forces were roused and humanity was given a chance to chart its own destiny. Titanic Shield - Capable of withstanding three B-Rank attacks for six posts before being dispelled. Its origin is shrouded in mystery, as is most of Ehoron's past. Exactly how he came to wield this particular weapon is not remembered by the aspiring hero, only that it comes from deep within himself. It reflects the dominant nature of his heart and puts on display for the world the hopes and fears of his heart. Whichever path he chooses, its trail is blazed with this powerful and terrible artifact. Passive: Form Change - Heart's Light is a weapon tied deeply to Ehoron's spirit. As his mood shifts, so too does the weapon's form and the type of magic damage it inflicts. This does not naturally boost the damage of the magic (ie; Holy magic does not automatically deal further damage to Demons or the like as would for a Demon Slayer), but can be affected by the specific vulnerabilities of mages or monsters. Neutral: Without any strong feelings to dominate his heart, this is the default state of the weapon. As it is his natural affinity, magic cast from the weapon in this form takes on the Ice subtype. Negative: Hatred and a general uncaring nature towards life and protecting it consume Ehoron, twisting this weapon into a corrupted and evil form, striking out with Shadow magic. Positive: When a strong sense of justice and a desire to protect life fill Ehoron's heart, these feelings make the weapon manifest in a regal manner. Holy magic strikes are delivered to enemies in this form. Balanced: Acceptance of both the dark and noble parts of his heart enable Ehoron to bring out this true form of the weapon. Pure magic strikes enemies and heals allies alike. Single Target: Power of Sealing** - Strikes the target with magic and drains 5% of the target's MP once per post for six posts. Single Target Heal and Shield** - Heals the target and generates a shield that can absorb two B-Rank spells for six posts before breaking. Multi-Target: Judgement** - Multiple rays of magic strike at targets, damaging them and reducing their physical resistance by 50% for six posts. AoE: Conviction** - Generating a large magical area, those within whom Ehoron sees as his enemy slowly take damage and have their magical resistance reduced by 50% for six posts while those Ehoron sees as his allies have 5% of their health returned once per post for six posts. Hey there! Didn't mean to take so long in getting to your magic. 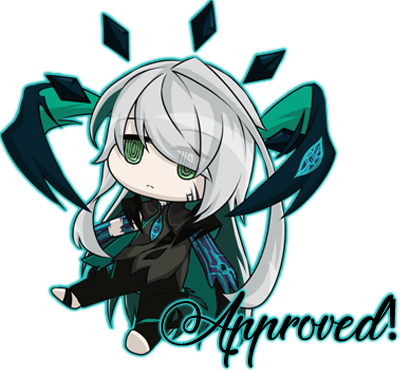 Anyway, you know what I'm here for, so any changes are in this color and you may message me any questions or anything of the like. Starlight Magic is a Caster-type magic based upon the light of all the stars in the sky. Based upon these energies, Starlight is an all-purpose magic that can greatly increase the attributes of the caster before unleashing a volley of powerful spells. It is a somewhat fickle magic, however, as its power waxes and wanes depending on the time of day. As well, the user needs to draw in the light of the stars or risk weakening over time. Ehoron's personality type is well-suited to using Starlight, as its host of support and defensive spells allows him to engage in battles on his terms, defending against attacks and strengthening himself until an opening presents itself. During the day, his magic has a brilliant gold color to it, while at night it shifts to a magnificent shade of purple. It's exact origin is a mystery to Ehoron, as it is a magic he found he could use after losing his memory from some unknown event. Walk in the Light: As a magic formed of the purity of the star's light, this magic is especially effective against Undead-types. It can obliterate Undead-aligned magics of equal or lower rank. Blessings of the Stars: This magic is particularly adept at supporting both the user and target beings. Light Up The Night: It is especially effective at overcoming Shadow-aligned magics of equal or lower rank. Blackest Night: Just as the stars empower this magic, so too does their absence weaken it. This magic is significantly weaker against shadow magic of greater rank. Starlight has a 25% reduction in total effectiveness (damage, duration, etc) against Shadow mages 1 rank above the user. Target Shadow mages 2 ranks only suffer 50% of the effects or damages of Starlight spells. On or Off: There is light or there isn't light. As a result, this magic is almost entirely devoid of any DoT spells, if it possesses any at all. Mirror, Mirror: As they readily reflect all light, this magic has difficulty in piercing Metal or Mirror magics. Against mages of greater rank with these magics, Starlight's effects fail entirely. Nom Nom Nom: While pure starlight, this magic is still considered Light and thus is edible by all Light Slayers. Lighthouse: Virtually every spell cast engulfs the user in obvious magical light, making it exceptionally ill-suited for subtle or stealthy jobs. Forgot to Charge It: Being kept from the light of stars for more than a day weakens the user gradually, losing 10% effectiveness per day down to a minimum of 50%. It takes at least a full day to recover from this drain. Usage: 5 post cooldown between uses. The Sun and the Heavens: As the basis for the magic, different manner of starlight affects the user differently. As the sun is the nearest and brightest star, so too is the wizard's magic strongest in the day. Damage done by Starlight spells in the day are increased by 20%. Under the watchful eye of the night stars, their dim, yet inspiring light instead decreases the damage of all spells by 10% (So a 30% change from daylight) but increases the MP regenerated by 10% Okay, so with recent MP regen rules, it can only cap at 5% per post, but I'm going to ask that you choose a percentage between 2-4%. It should be noted that direct exposure is necessary to receive these effects. Thus, anything that obscures the sky (strong clouds, buildings, constructs, etc) negates these benefits. So Close Yet So Far: Though the light of stars seems instant, their light is merely a memory. So too does the light around the user hide their movements. As long as the user has 50% MP, all single target (That is, any attack that's not an AoE) ranged spells cast beyond 5m suffer a 10% chance of missing, plus an additional 10% per additional 10m, up to a maximum of 30%. Accuracy isn't a stat onsite and what I get from this is that it's accuracy being spoken about here, so you'll want to find a different stat to boost instead. Speed of Light: As long as the user has 100% MP and is uninjured, they can seemingly teleport in a direct line to any point they can clearly see (So no going around walls or through obscuring obstacles). It cannot be used in quick succession. I would like a range for this. I'd say anywhere between 10-15m and you're more than welcome to state that the range increases by a set amount per rank, too. After reciting a brief prayer to the stars, the caster lays their hands upon the target. A brief burst of light emanates from the caster's hands and envelops the target, washing away a portion of their wounds and fatigue with purifying light (25 HP) I'm going to ask that this is lowered to 20HP. In lieu of healing, the spell can remove one on-going debuff or DoT effect of equal rank. Strong Light: This spell heals for a greater amount than the average spell of equivalent rank. Stoplight: Can remove one debuff or DoT effect of equal rank. Lay on Hands, Literally: The requirement of physically laying a hand on the target as opposed to casting from range invites risk and danger to the caster. No Refunds: Cannot be cast on self. Sitting Ducks: While being cast, both the caster and target need to remain still. By invoking the rising power of the sunrise, the user can enchant either themselves or a target within 5 meters with an infusion of light. The spell increases the target's speed and endurance by 20%. While they enjoy these effects however, the light within the caster diminishes and they are unable to cast other D rank Starlight spells as a result. Sun's Brilliance: Powerful buff spell. Glowstick: As long as the target is under the effects of the spell, a perceptible glow covers them from head to toe, enough to clearly illuminate them in darkness. One or the Other: While Sunrise Burst is in effect, other D rank Starlight spells cannot be cast. Curveball: Solar Lance's blasts arc to the sides and above the caster before zooming in on their target. This means they can get around static defenses such as fixed-area shields and cover, though they do not bypass walls or the like unless an opening is present. Itty-Bitty Living Space: As the spell arcs outward before approaching the target, it is virtually impossible to cast this spell within tight spaces as the blasts would simply impact the walls and ceiling. Areas with a great deal of cover, such a dense forests, also pose significant problems to accurately casting. Is That All? : Each blast only carries a portion of the damage typically found of a spell at this rank, thus if one or more shots are blocked, the damage delivered can be reduced significantly. Invoking the inspiring power of morning light, the caster generates a sphere up to 10 meters in any direction. Magical attacks are stopped in a beautiful prismatic flash Magical attacks equal to or lower in rank to the user can be stopped; however, reading the weakness, you'll want to state it can block 2 D rank spells or 1 C rank spell. However, physical attacks (Non-magical arrows, rocks, etc) freely pass through. As well, the spell does not prevent beings from entering or leaving its sphere of influence. Stationary: In order to maintain the spell, the caster must remain stationary. Not Shatter Proof: Can only protect against 3 D-rank spells or 2 C-rank spell [color=#cc66cc]When protecting against other attacks, most protection spells are only 2 D ranks or 1 C rank spell, very rarely are they 3 D rank spells or 1 C rank spell. Never has there been a 3 D rank spells or 2 C rank spells. Not a Fence Substitute: Does not prevent physical attacks or hostile entry into the sphere. 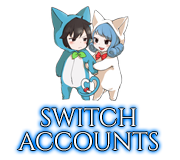 Edits have been made as requested. I changed a few things more completely than others, trying something new with it. Heavenly Light: Made of the heaven's own light, this magic is effective against Demons and Demon Magic. Constellation of Stars: Just as the stars can make all sorts of images in the sky, this magic is versatile in design and can quickly adapt to new experiences. Nom Nom Nom: While this magic is comprised of multiple components, this versatility means that many spells can be eaten by multiple types of Slayers or affected by a greater number of magics. The Sun and the Heavens: As the basis for the magic, different manner of starlight affects the user differently. As the sun is the nearest and brightest star, so too is the wizard's magic strongest in the day. Damage done by Starlight spells in the day are increased by 20%. Under the watchful eye of the night stars, their dim, yet inspiring light instead decreases the damage of all spells by 10% (So a 30% change from daylight). 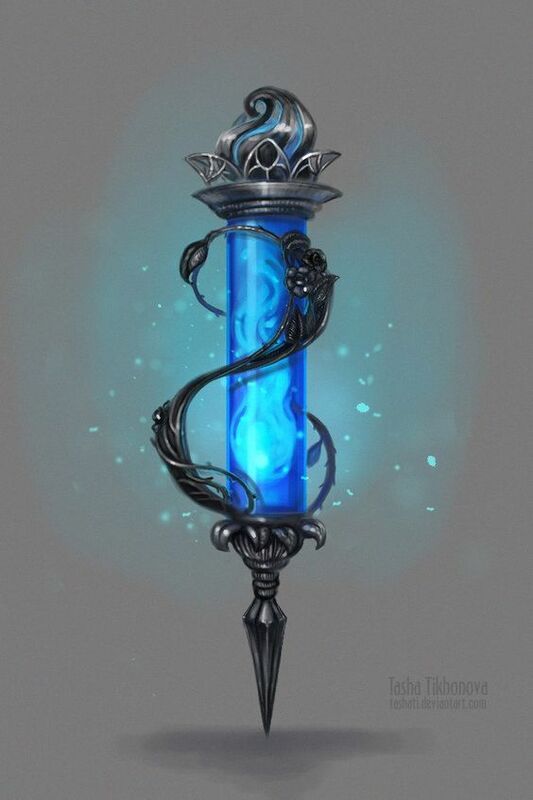 However, all healing spells heal for an additional 5 HP, and buff and support spells last for one post longer (also increases the cooldown by one post). It should be noted that direct exposure is necessary to receive these effects. Thus, anything that obscures the sky (strong clouds, buildings, constructs, etc) negates these benefits. Bright Bright, Bright Bright: The heavenly light of the star is beautiful when observed from afar, but can be blinding up close. 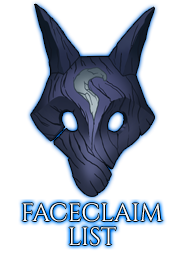 Once per thread, per rank, the caster may gather pure sunlight into their hand and unleash a powerful flash of starlight. Targets one rank higher are blinded for a single post, while those of equal rank are blinded for two rounds. Targets of two or greater ranks are immune to this effect. Targets of lesser rank are stunned for one post. Using this ability disables The Sun and the Heavens until the next sunrise. As well, this ability can only be activated prior to sunset. Speed of Light: After gathering up their magic (a process taking five minutes, rendering all other spellcasting impossible and thus making the usefulness in combat next to nil). Once this is done, the caster is transported to any location on the planet that is not enclosed by walls/doors (so no getting into buildings), nor can the caster move into areas warded against magic. Two people can be taken along with the caster, plus one per additional rank past D.
After reciting a brief prayer to the stars, the caster lays their hands upon the target. A brief burst of starlight emanates from the caster's hands and envelops the target, washing away a portion of their wounds and fatigue with purifying light (35 HP). In lieu of healing, the spell can instead remove two on-going debuff or DoT effects of equal rank. Stoplight: Can remove up to two debuff or DoT effects of equal rank. No Refunds: Neither aspect can be used on the caster; healing or debuff/DoT removal. By invoking the rising power of the sunrise, the user can enchant either themselves or a target within 5 meters with an infusion of light. The spell increases the target's speed and endurance by 25%. While they enjoy these effects however, the light within the caster diminishes and they are unable to cast other D rank Starlight spells as a result. One or the Other: While Sunrise Burst is active, other D rank Starlight spells cannot be cast. Darrrknessss: Shadow magic of higher rank can immediately dispel Sunrise Burst. This does not reduce the cooldown from 4 posts. Any Slayer that eats Light magic can also immediately dispel it. Is That All? : Each blast only carries a portion of the damage (16%) typically found of a spell at this rank, thus if one or more shots are blocked, the damage delivered can be reduced significantly. Invoking the inspiring power of morning light, the caster generates a sphere up to 5 meters in diameter. Magical attacks are stopped in a beautiful prismatic flash, both from outside and from within. However, physical attacks (Non-magical arrows, rocks, etc) freely pass through. As well, the spell does not prevent beings from entering or leaving its sphere of influence. For as long as the barrier remains, those within are slowly healed of their wounds. Band-Aids for Everyone: All entities within the spell's area are healed for 10 HP per post duration, up to three targets. Two Way Street: Just as the spell stops magic attacks from passing through the barrier, so too are spells prevented from passing outward. Buff, debuff, and DoT effects are not extinguished upon passing through the barrier. That's Not for You: Healing effect occurs, regardless of affiliation or relationship to the caster, on the first three entities that are present or enter the spell's field. The caster is not affected by this healing effect. Not Shatter Proof: Can only protect against 3 D-rank spells or 2 C-rank spell. B-rank and above shatter the sphere outright. Since it's so old and a few things have changed with magic, I'd appreciate some help if figuring out what's in the most need of changing to make sure it's up to date with the current rulesets. 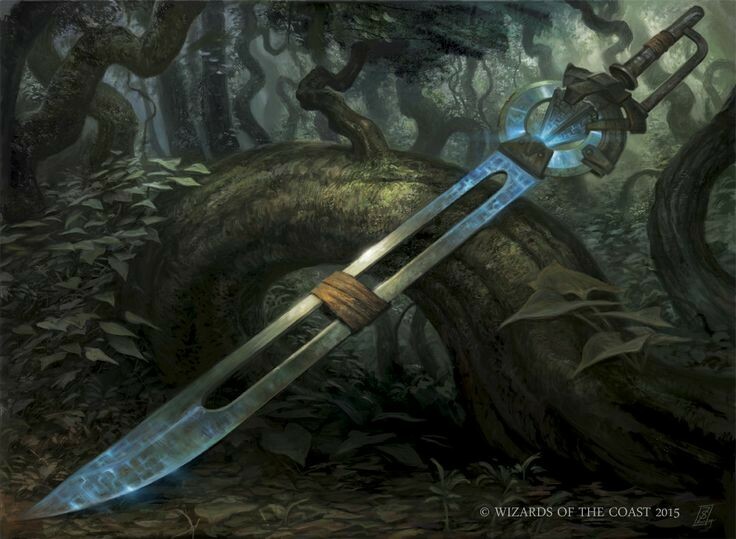 The Shard of Audhulma is, as the name implies, a sword made from a shard of the legendary ice blade Audhulma. Legends say that the weapon was shattered defending a village from a truly terrifying giant demon, and a fragment of it was later used in the forging of this blade. 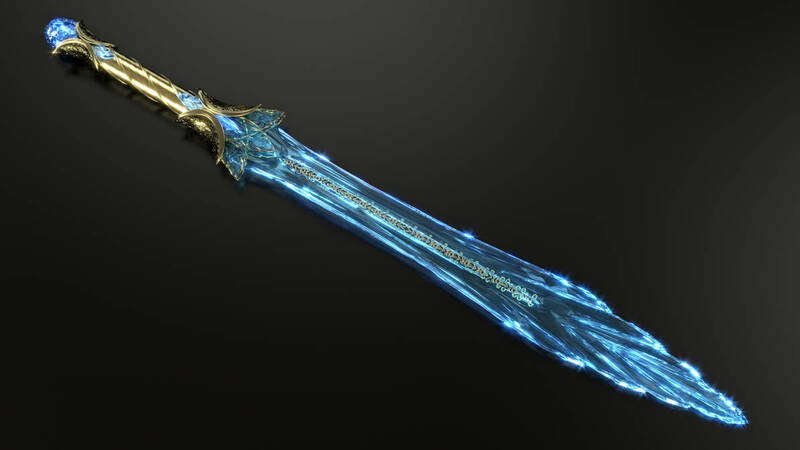 Regardless of the truth, it is a sword of that makes use of potent ice magic to form the bulk of the weapon's form. A spear that is said to have made a man into a hero, and a hero into a king, Gerwald is known as a mighty spear that drives its wielder on to greatness. Nestled in the spearhead is a small golden Lacrima shard said to contain the heroism of the first wielder of Gerwald, whose name is all but forgotten by history in this day and age. Passive: Valor in Action - Passively increases the wielder's Strength and Speed by 35% and 30 % respectively. Description: A crystal made of condensed, crystalized Ethernano, it acts as foci to allow the wearer to channel Ethernano particales more readily into their body to replenish their magical stores. Some claim to see faces or hear voices speak of legends within the crystal, but none can say for certain. Edits have been made as requested. Single Target: Ice Fang - With a swing of the blade, a vertical line of ice goes speeding in a straight line towards the intended target. If it strikes a sufficiently hard object or another person before reaching it's intended target, or it reaches it's maximum range, it detonates at that time. The icy magic also inflicts a 50% penalty in stregth for three posts as the frigid magic causes muscles to seize. Area of Effect: Arctic Wind - Jagged spikes of ice rain down from above the area. In addition to damaging targets caught within the area, affected targets have their speed and physical resistance reduced by 25% for three posts as cold sap stamina and render steel brittle. Single Target: Heroic Decree - With a gesture from this legendary spear, a bolt of lightning splits the sky to strike the target, inflicting damage and reducing their speed by 75% for three posts. Passive: Valerian Leather Wares - Prized for their durability, the Valerian leather used to make the coat imparts a 40% increase in physical resistance. Passive: MP Up - By drawing in Ethernano particles through the purifying crystal, the wearer's magical stores are more rapidly replenished. MP regens at 5% per post for three posts. Formatting done, and edits made. Single Target: Ice Fang - With a swing of the blade, a vertical line of ice goes speeding in a straight line towards the intended target. If it strikes a sufficiently hard object or another person before reaching it's intended target, or it reaches its maximum range, it detonates at that time. The icy magic also inflicts a 50% penalty in strength for three posts as the frigid magic causes muscles to seize. Shield: Valorous Guard - A spell that channels the valor of heroes to repel the darkness, generating a magical shield that is able to withstand three D-Rank spells worth of damage for three posts or until broken, whichever occurs first. Single Target: Heroic Decree - With a gesture from this legendary spear, a bolt of lightning splits the sky to strike the target with divine judgment, inflicting damage and reducing their speed by 75% for three posts. 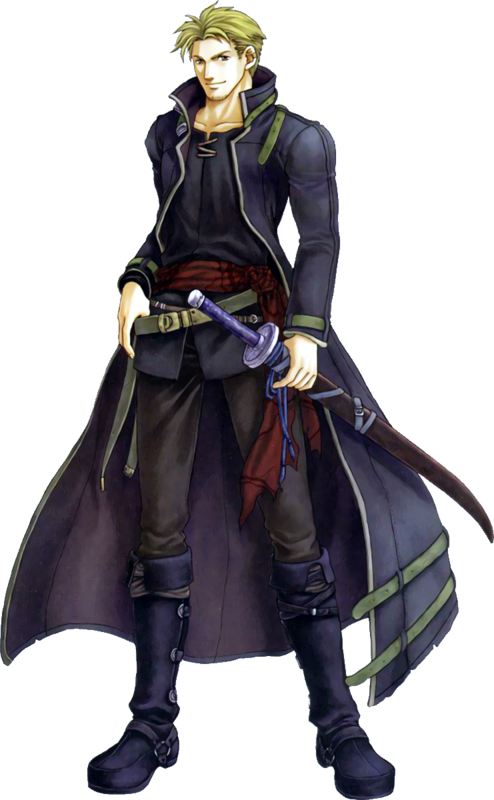 A long coat made from Valerian leather, it is usually the only armor that Ehoron wears regardless of if he's doing a job or not. It imparts a substantial increase in his defenses and was the first piece of equipment he can remember summoning, imparting it with significant emotional significance. Shield: Weak Ethereal Deflector - Ethernano particles are drawn through the crystal and projected across the body as a weak shield capable of withstanding three D-Rank attacks for three posts or until broken, whichever occurs first. Icy Heart is C Rank in power. Resplendent Ice is C Rank in power, eventually B Rank. Passive: Form Change - Heart's Light is a weapon tied deeply to Ehoron's spirit. As his mood shifts, so too does the weapon's form and the type of magic damage it inflicts. Balanced: Acceptance of both the dark and noble parts of his heart enable Ehoron to bring out this true form of the weapon. I believe all needed corrections have been made. Sure I missed at least one thing.